Assessment of the level of knowledge of the student by means of passing the AIDA 3 Advanced Freediver written exam at 75% or higher. Allow 2 hours for this assessment. 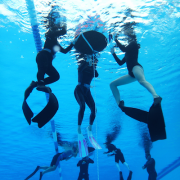 Assessment of the pool or confined water skills equivalent to the level of the AIDA 3 Advanced Freediver course. Allow two hours for this assessment. 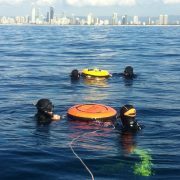 Assessment of all ocean or open water skills equivalent to the level of the AIDA 3 Advanced Freediver course. This is typically one morning of about 5 hours including the boat trip to and from the dive site. 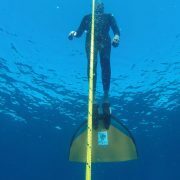 Freediving Gold Coast charges $299 for this Crossover Evaluation. 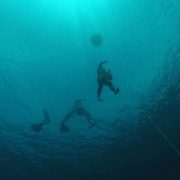 Though it is not mandatory to proceed to the AIDA 4 Master Freediver course, if you would like the AIDA 3 Advanced Freediver certification it is an additional $32 which is paid to AIDA International.